When it comes to keeping things running smoothly, there are two types of maintenance strategies: proactive and reactive. The reactive, or “if it isn’t broken, don’t fix it,” method is common in many companies, including industrial and manufacturing enterprises where equipment function is paramount to success. Proactive maintenance takes a different approach and routinely addresses facility concerns and equipment upkeep to prevent major failures or irritating problems. These systematic inspections and processes identify and correct potential problems before they happen. A preventive maintenance program is one of the wisest choices a facility manager can make. A detailed program keeps equipment operating efficiently; extends the lifetime of physical assets; enhances the safety of your employees; keeps the facility comfortable, attractive and energy efficient; and helps you avoid large and costly repairs down the road. If you traditionally take a more reactive approach to maintenance and facility management, you could, instead, save your company thousands of dollars by adopting preventive strategies. The exact cost savings gained will depend largely on things specific to your company (your industry, the equipment you use, the size of your facility and more). However, it’s generally accepted that reactive maintenance will cost you three to four times more than preventive maintenance. 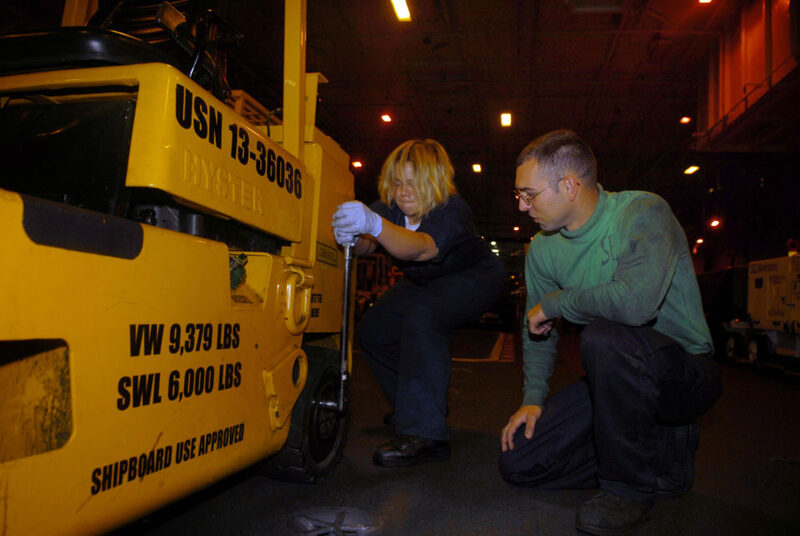 A preventive maintenance program keeps the disruption of operations to a minimum. An effective program breaks the cycle of downtime and repair. Because maintenance checks are planned, it’s easy for you to schedule them in a way that makes the least impact on day-to-day production. In the end, you save valuable time and money by taking proper care of your equipment and keeping everything running smoothly, whether the equipment is related to production, data processing or building operation, such as heating-ventilation air conditioning (HVAC), lighting, power systems and plumbing. Just as increased equipment efficiency and performance are important in the industrial realm, so are safer working conditions. The safety of your employees and visitors should be your top priority, and regular preventive maintenance can lead to improved safety and quality conditions for everyone. Routine checks uncover any hazards and prevent unsafe working conditions, so you have fewer on-the-job injuries and accidents. These positives can enhance your company’s reputation. The day-to-day cost incentives of preventive maintenance might be the biggest reason why facility managers adopt these programs, but your company’s reputation will improve, even outside of the corporate walls. Reactive maintenance leads to the negatives of the things listed above: More downtime, lower equipment efficiency and unsafe working conditions, among others. In addition, your company’s reputation will suffer if you’re consistently putting production on hold or dealing with accident and injury cases, news that often reaches the media. Your lighting and electrical distribution systems also will benefit from a proactive and planned service program, which ensures that they will run at optimal efficiency and reduce your costs by minimizing administration and energy costs, system failures and capital investment. It pays to keep equipment as safe and serviceable as the day it was installed. There’s great peace of mind in knowing that your electoral power system will reliably and safely function to ensure that your operations stay productive. Injuries, deaths and heavy OSHA fines can be the result of electrical hazards. As a facility owner/operator, it’s your responsibly to protect people and keep the workplace safe. Electrical systems maintenance processes and programs should include arc fault/flash prevention and mitigation; customized training, testing and maintenance programs; reliability testing and predictive maintenance; electrical protective equipment testing; electrical power system vulnerability and facility system risk assessments; life extension and overhaul services; standby and emergency generator services; and remote monitoring and energy audits. Your facility services department or expert can also assist with and advise you on facility upgrades, which have the potential to pay for themselves by saving energy. For data system maintenance, make sure that your department has specialists who are factory trained and have certifications applicable to your facility, such as Liebert/Emerson, Stulz, Data Aire, NETA and CDCDP (certified data center design professional). After all, the cost of unexpected downtime can be millions of dollars in revenue and productivity. System failure can also cause high-dollar damage to your communications and IT equipment. Besides human error, infrastructure failure due to insufficient maintenance is the main reason for downtime and outages. While less technical in nature than the servicing of specialized equipment, handyman and housekeeping services are important pieces of preventive programs. Effective earth-friendly cleaning programs can improve indoor air quality and enhance the health and productivity of employees. By eliminating toxic cleaning products, implementing preventive processes and using energy efficient, highly effective vacuums and other machines, green cleaning programs avoid the problems caused by traditional cleaning. In addition to being better for people, gentler cleaning is also easier on the facility itself and its physical assets. Your carpets, floors and furniture will look nicer and last longer. One of the simplest and most inexpensive ways to keep your facility clean, and thus operate in top form, is the very lowtech product called entryway matting. Most contaminants enter a building on employees’ and visitors’ feet, but proper matting traps moisture, dirt, pollutants and germs before people track them throughout. This results in quicker cleaning with milder chemicals, which is friendlier to the environment and your budget. It also improves indoor air quality. While all this can seem overwhelming, remember the points made about downtime, accidents, poor efficiency and other compromised operations. Those problems can be much more overwhelming – and indeed, detrimental to your success – than embracing a preventive maintenance program. It’s time to become proactive rather than reactive. Besides the other benefits, the peace of mind alone is worth it.